Exomotive - US Manufacturer of Exocars & Kit Cars | Congrats to Mike! 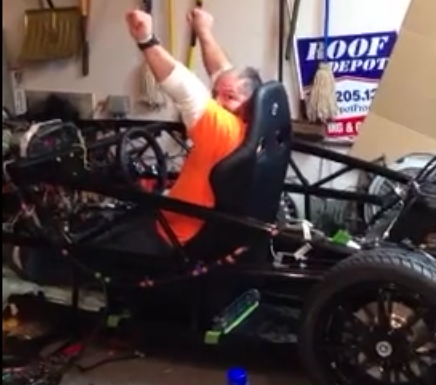 Congratulations go out today to Exocet builder Mike V. for his car’s first start! Mike is building the first US race chassis using a ’99 donor and has installed a full Wilwood big brake kit. We can’t wait to see this on track in 2013.